Pre-season testing is almost upon us and Formula 1 fans are dreaming of an epic season ahead. But then again, we always do; it often fails. Last year Ferrari set the pace in the pre-season, a 1-2 for Sebastian Vettel and Kimi Raikkonen, while Lewis Hamilton was eighth and Valtteri Bottas P10. Fernando Alonso was third in the McLaren! On that alone it is clear to see that pre-season times count for little, however, that doesn’t mean we don’t get some indication of what may be around the corner. Here are five signs every Formula 1 fan is hoping to see this pre-season. Of everything that counts for nothing in pre-season testing, laps times top the list. Last year Vettel and Raikkonen were top of the pile ahead of Alonso, Daniel Ricciardo, Carlos Sainz and Kevin Magnussen. Mercedes’ fastest time over the eight days was only good enough for eighth but it must be said that they only used the ultrasoft tyres whereas the top five times were all set with Pirelli’s hypersofts. Thrown in a second, the general difference between Pirelli’s ultras and hypers, and Mercedes were just 0.2s behind Ferrari at the end of testing. It was the gap that they carried into the season before winning the development war, and the World title. Red Bull, Renault and Haas were roughly a second off the pace in testing – 0.8 to 1.1s – and finished the season third, fourth and fifth. Ideally this year’s pre-season testing will see, when tyre compounds are applied, Mercedes, Ferrari, Red Bull and another team separated by less than half a second. Better yet, separated by two tenths. That would hint at a close start to the season, after which it is up to the technical geniuses to win the development war. And if you need further proof that a quick glance at the testing timesheets doesn’t tell the true story: back in 2001, Prost GP were one of the fastest teams in testing in their AP04 car. It subsequently emerged that the car was running on fumes as Prost sought sponsors by basically cheating the results. The team folded at the end of the year. McLaren managed just 599 laps last year, the fewest of any team. And, shockingly, that was up on their previous year’s 425! It was in sharp contrast to Mercedes’ 1040 laps meaning McLaren, for the fourth year running, arrived on the Australian Grand Prix grid underprepared. Losing the only genuinely free track time the teams have is never a good thing; having that happen when you’ve swapped to a new engine supplier is a near disaster. 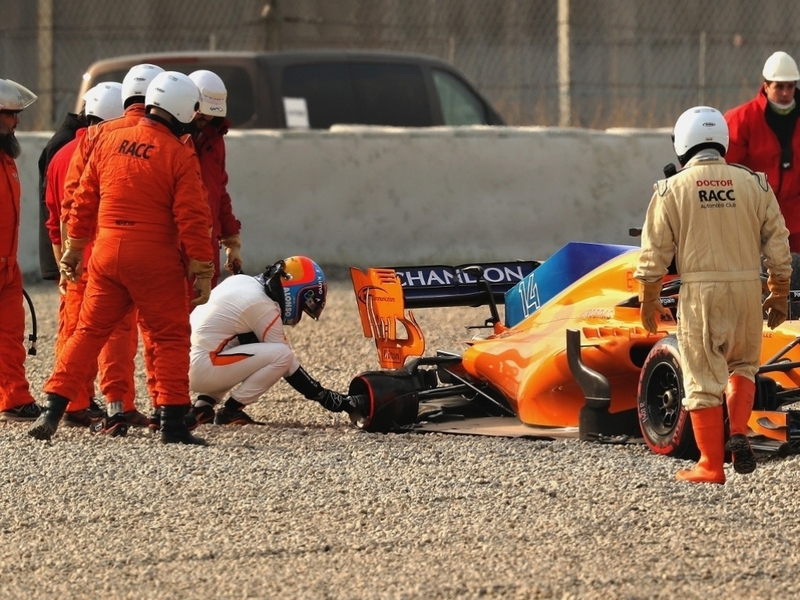 It meant McLaren started 2018 on the back foot as they quickly discovered that what they were seeing out on track was not what was happening back in the factory. The team spent 2018 chasing their tails as they tried to correlate the data, somewhat unsuccessfully. With Fernando Alonso putting in the third fastest time in testing, what a different season it could have been had McLaren managed to marry reliability with pace from the get-go. It may come as a surprise to note that Toro Rosso, taking over from McLaren as Honda’s sole team in 2018, had the third highest tally of laps last pre-season. Unfortunately for Honda, as their only team, it meant the Japanese manufacturer was stone last when it came to the number of laps broken down by engines. Honda covered 822 laps, Mercedes engines did three times that. It was, however, still Honda’s best pre-season since they returned to the Formula 1 grid in 2015 and this year they will be hoping to improve on that. Not only do they have Toro Rosso in the fold but Red Bull Racing have joined. With Toro Rosso having sacrificed a good part of 2018 to help Honda improve their power unit ahead of Red Bull’s arrival, much is expected from Honda this season. “We have a phenomenal team which can create a great car. As soon as we can get that little bit more horsepower, which it looks like Honda are delivering, then hopefully we can give them a hard time at every circuit,” Christian Horner told Sky F1 back in November. 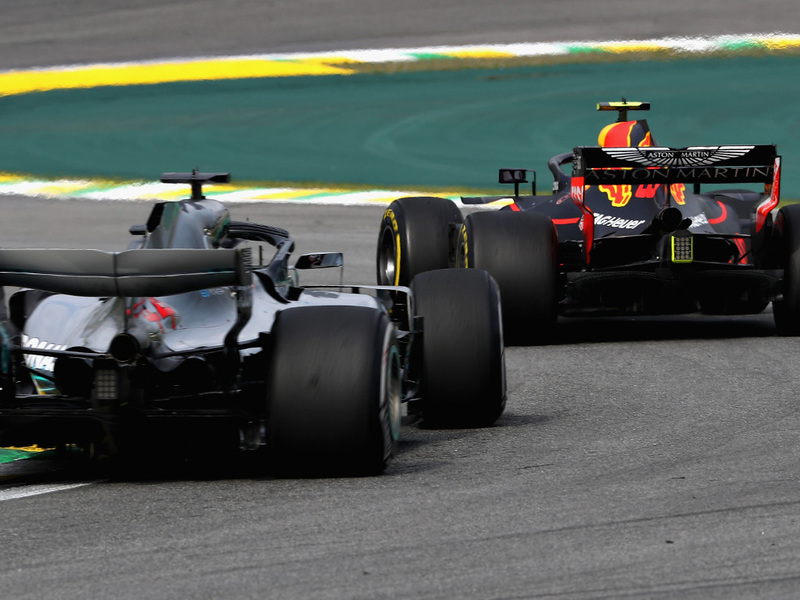 The next in line after Mercedes and Ferrari, Formula 1 needs Red Bull firing on all cylinders – and more – this season. 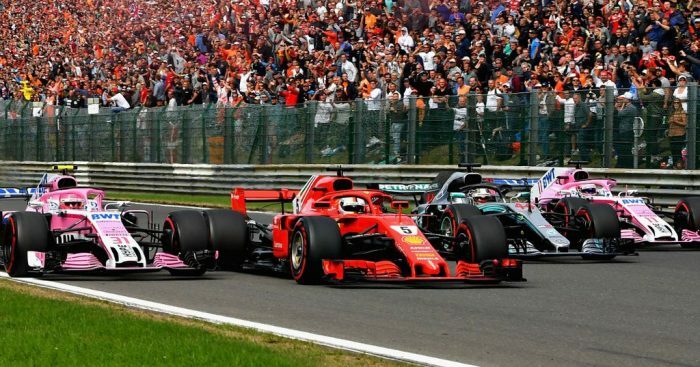 Although the Formula 1 cars aren’t undergoing complete overhauls this season, there are big changes to the wings aimed at improving following and ultimately overtaking. The 2019 cars’ front wings will be wider, higher and simpler. For those interested in the numbers, the front wing will be 200mm wider, 20mm higher and will jut out 25mm more at the front of the car than it did last year. Added to that simpler endplates mean that the entire wing will generate downforce and hopefully increase overtaking possibilities. “It’s significant enough that it changes quite a lot of things in terms of design of the car,” Renault’s Marcin Budkowski told Sky Sports. “Even if it’s very localised at the front of the car, mainly the front wing and front wheel area. As for the rear wing, it is 20mm higher and 100mm wider thus creating a bigger slipstream for the car behind to help it close right up. Last season Williams were awful. You can’t argue with that statement, even Williams’ staunchest fans couldn’t disagree if they tried. The team got everything wrong and it was evident already in the pre-season. Of the 22 drivers involved in testing, Williams’ three – Sergey Sirotkin, Robert Kubica and Lance Stroll – featured in the bottom quarter of the timesheets. The team did manage to finish fourth overall with the number of laps but that doesn’t really count when the laps are so slow that one cannot compete. While the likes of McLaren gained over 3.5s in lap time in 2018’s pre-season compared to 2017’s, and then-four-time World Champions Mercedes – already knocking on the door of perfection – improved by 0.910s, Williams’ gain was a mere 0.231s. The team was never able to recover, whether that was due to their inexperienced pay driver line up or a car so awful that nothing could fix it, only Williams know the truth. They finished the 2018 season bottom of the log with seven points. That is not a performance any Formula 1 fan wants to see from a team with Williams’ pedigree. 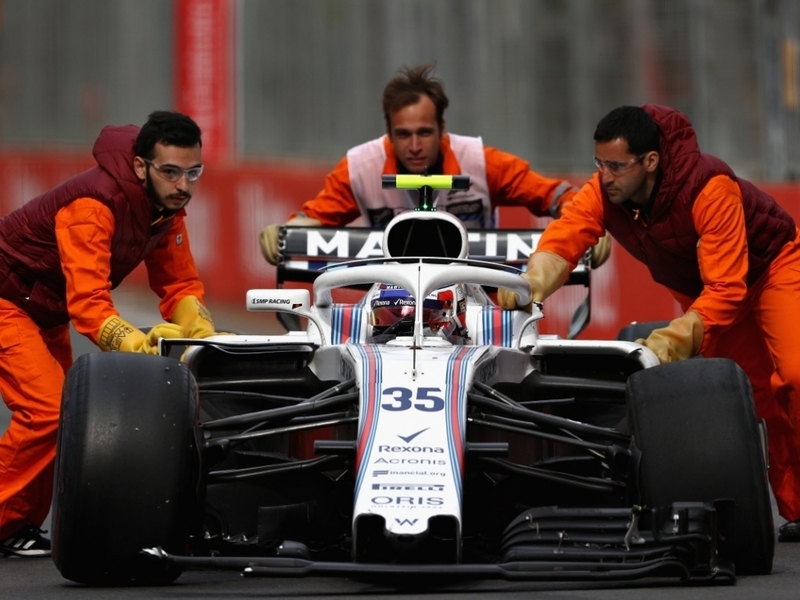 This year with Kubica back on the grid, his first season in F1 since 2010, and Formula 2 champion George Russell as his team-mate, Williams – and F1 – are hoping for a few positive signs in pre-season testing.